WORLDWIDE: The wind industry's major manufacturers and their main component suppliers are responding to a new market environment, one increasingly driven by subsidy-free, competitive tendering. 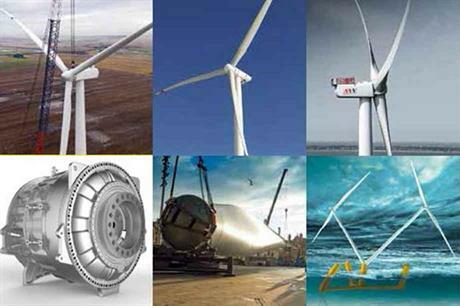 We pick the year's outstanding wind turbines, drivetrains, rotor blades and innovations. Four words: levelised cost of energy. That was the driving force for the wind-power industry's research and development departments during 2017. Wind energy is entering a new era, increasingly cost-competitive with the traditional generating sources, no longer dependent on subsidies and support schemes. It has to stand on its own feet on economic grounds. Wind turbines are judged in three classes: up to 2.9MW, 3MW-plus and offshore. There are also selections for drivetrains, rotor blades and the year's most promising innovations. To qualify in the turbine classes, the model needs to have been made available for commercial order in the past 12 months, with at least one prototype installed and operating. Working prototypes are also required in the components categories. Radical thinking and innovative technology are only part of our criteria. Among other things we examine the quality of the product's design and manufacture, its track record, impact on the market - including numbers sold, industrialisation stage and expected advancements, service friendliness and reliability-enhancing aspects. The key question is simply: does it generate more electricity when required, and at a lower upkeep cost? Windpower Monthly's annual Turbine of the Year feature has been running since January 2013. Plans are now under way for further expansion of the judging categories to highlight other aspects of the global wind energy industry beyond the technology and hardware. We expect to bring you further details of the wind-power "Oscars" during the course of 2018.